Favorite ways to add some spring to your home decor. Filled with incredible interiors, Enduring Southern Homes by Eric Ross showcases some of his most beautiful projects and gives tips on how you can create your very own enduring home. Celebrate the coming of spring in your home decor with flowers. Beat the winter blahs with this cheerful bouquet. How to artfully incorporate a dog-themed motif in a room. A Southern Holiday Home Tour you won’t want to miss! Silver is stunning, especially when it’s used as part of your home’s decor. Faux floral arrangements and topiaries bring the garden inside for the holidays without the fuss. I’m joining some of my favorite design bloggers and influencers to share holiday inspiration, decor and all things lovely to make your holiday home someplace you love to be. Join our inner circle. Enter your email address to receive all new posts by email. Welcome to our back room. Here I share the secret stories of antiques to enhance your collectors’ love of the decorative arts. 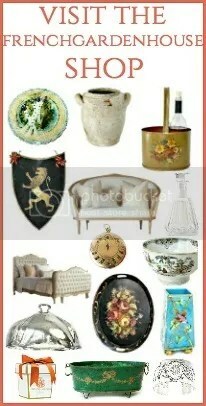 I hope to inspire you to collect what you love, create a stylish, elegant home, and boost your antique purchasing savvy. Our world of antiques is filled with designers, French and European dealers, exceptional objects, and stories you won't want to miss. Oh, and lots of beautiful entertaining, too! PRESS: We’ve been blessed to be featured.